If at first you don’t succeed … try the same thing again. When legislators returned to the State Capitol Monday for a special session, they faced a familiar dilemma: Can they muster enough Republican and Democratic votes to pass a $1.50-per-pack cigarette tax? Or will an impasse lead to cuts in core state services? In either case, given previous votes and lawmakers’ statements, both parties could share responsibility. Gov. 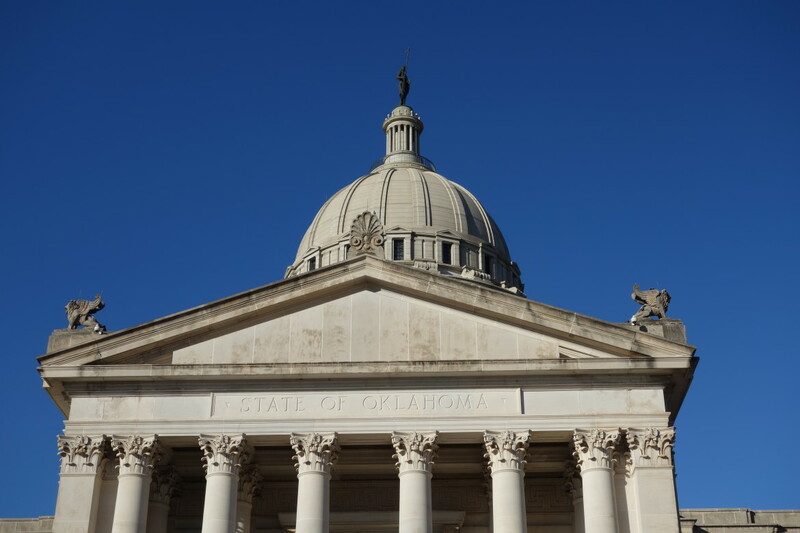 Mary Fallin called lawmakers back for the first time since 2013 after the state Supreme Court ruled that they unconstitutionally passed a tobacco fee with a simple majority rather than the constitutionally required three-fourths supermajority. The court’s ruling left a budget shortfall. GOP House leaders announced earlier this month that the centerpiece to their strategy to close the $215 million gap would be to again try to pass the cigarette tax – this time with the necessary 76 votes. The proposal could reach the House floor as early as Wednesday. On Monday, legislators convened briefly without taking up any bills or revenue proposals. Votes from this spring’s regular session and statements from lawmakers show this could be a challenge, as members of both parties are expected to oppose the proposal. House Minority Leader Scott Inman, D-Del City, increased the likelihood that the bill could pass when he announced last week that his 28-member caucus would not vote as a block to reject it. But Inman said an unspecified number of Democrats will still vote against a tobacco tax unless Republicans agree to raise the gross production tax on oil and gas wells – something House leaders said they refuse to do. He said other Democrats have been convinced by their constituents to back the cigarette tax even if it’s a stand-alone measure. Republicans hold 72 seats in the House and would need at least four Democrats to join them if every GOP lawmaker were to vote for the bill. Twenty-one House Republicans voted no or did not vote when the cigarette fee passed by a 52-45 margin during the regular session. Twenty-one GOP lawmakers similarly voted no or didn’t vote on a bill earlier in the session that would have raised the cigarette tax but needed 76 votes. Despite urging from Republican leaders and Fallin, many of these lawmakers said they didn’t want to pass any tax increases, including the cigarette tax. Some are signaling they intend to do the same in the special session. Every Democrat voted against the cigarette fee that passed during this year’s special session but was found unconstitutional. But 12 Democrats voted for the failed cigarette tax bill that was defeated on a 63-34 vote – 13 shy of the 76 votes it needed. If those same 12 Democrats vote yes for the cigarette tax bill during the special session, 13 of the 21 Republicans who voted no or abstained on the regular-session bill would need to flip. Republicans would also need one more Democratic yes vote – one of the two newly sworn-in House Democrats, for instance – because Rep. Scott Martin, R-Norman, who voted yes in the regular session, has resigned. Inman said he doesn’t believe House Speaker Charles McCall, R-Atoka, can sway enough of the holdouts in his party to support it. “We are not overly optimistic that he can do that,” Inman said. In that case, if the same number of Republicans vote for the cigarette tax as they did during the regular session, it would pass only if the entire Democratic caucus voted yes on the bill. Those are long odds, which means a scenario similar to this year’s regular session could arise: leaders from both parties accusing the other side of failing to pass the bill. McCall has preemptively placed the blame on Democrats. McCall said he intends to put the cigarette tax to a vote of the people if it fails to gain the three-fourths majority vote in the House. That would require only 51 legislative votes. But the state question wouldn’t be on the ballot until next year, and although it would provide millions of dollars for future budgets, it wouldn’t fill the $215 million gap for the fiscal year that ends June 30, 2018. >Changes to tribal gaming rules: $12.3 million. >Spending unused dollars from last year’s budget: $51.7 million. >Tapping into “rainy-day” funds: $23.3 million. That could force both parties back to the negotiating table. Inman said he still wants a deal to pass the cigarette tax if Republicans vote to increase gross production taxes or allow a statewide vote. McCall said Republicans are reluctant to look at taxes beyond the cigarette tax – which was the case during the regular session. That could mean state agencies will face another round of cuts. Fallin, however, has threatened to veto a bill that cuts state agencies and has renewed her call for lawmakers to find recurring revenue to fill the shortfall and shore up budgets for years to come. She also ruled out a statewide vote on a tobacco tax.